Nov. 5, 2013, 10 a.m.
By Nikki Usher @nikkiusher Nov. 5, 2013, 10 a.m.
As part of my fellowship at the Tow Center for Digital Journalism at the Columbia University Graduate School of Journalism, I’ve been tracking these newsrooms moving newsrooms and the connection between physical space and digital space. And these newsroom moves actually tells us quite a bit about both the economic state of newspapers and their digital strategies. In some cases, these newsrooms are still in the heart of their cities but occupy a smaller footprint than before. In other cases, journalists have left the downtown proximity to courts, cops, and city government in favor of the surrounding suburbs. The trend is growing across the industry, including at papers owned by chains like McClatchy, Cox, MediaNews, Gannett, Advance, A.H. Belo, and GateHouse, and at newsrooms big and small. Back in the day of the publisher’s paper, newspapers could build cities. Frank B. Shutts and financier Henry Flager quite literally shaped the city of Miami in the 1920s and 1930s through boosterism in The Miami Herald. From encouraging cheap housing and even speculation, to covering up hurricanes, to creating energy around tourism (even building up the horse-racing industry), to pushing for rail lines and eventually Everglades National Park, the Herald helped build the city’s population and industry. Its prominent presence on the waterfront matched its importance and power. Newsday’s Alicia Patterson (daughter of newspaper baron Joseph Medill Patterson) helped spur the creation of Levittown to bring a post-war population of GIs to Long Island and build her subscriber base. The Chandler family turned the Valley from orange groves and farms into cheap housing, encouraged the aerospace industry to move to Los Angeles as well as helping to spur developments of ports, promoted the freeway system the city still has, and in turn, helped create the modern city. Aurora Wallace, a professor at NYU, chronicles these stories and more in her book on newspapers and the built environment. Why move newsrooms now? After shedding people, the single most valuable asset many of these newspaper retain is their physical plant. Many of these newsrooms are in the heart of downtowns undergoing revivals or are in valuable commercial space. And, for many, their space is just simply too big and too inefficient to actually keep at the size they are now. Newsrooms like The Miami Herald were built during the booms of the 1960s. (John S. Knight anticipated an eventual circulation of 1 million; today, the figure stands in the low 200,000s.) Other newsrooms in older spaces no longer need the large spaces to run presses that have since been shipped off to the suburbs (closer to highway access) or composing rooms. Gannett hasn’t put a figure on the money it is stands to earn, but Bloomberg reporter Nadja Brant found that the company will have had more than 2 million square feet of property divestitures since 2005. The piece also reports that A.H. Belo’s non-core properties account for “$72.5 million — almost two-thirds of its stock-market value of $113 million.” Some argue that the most valuable part of John Henry’s purchase of The Boston Globe was not the newspaper but the real estate. Today, The Miami Herald has moved out of its bayfront building downtown — a building seen smack in the center of the city with the address 1 Herald Plaza, with such incredible views that John S. Knight considered having a lunch room on the roof. The Herald now sits in a building closer to the airport, away from public transport, and quite literally across from a cow pasture. But moving wasn’t just a matter of finances. The newspaper has had a chance to literally rebuild its very architecture and physical space to facilitate up-to-the-minute breaking news creation. Arguably, place matters less when a newsroom’s primary output is digital. That’s at least, what managers said to me — but journalists connected to downtown institutions were duly worried about new physical barriers (like traffic) that could prevent them from coming back to file and to be edited in this new newsroom. Even in a digital world, where journalists can file and work anywhere, being surrounded by a busy newsroom is one of the best parts of being a journalist. I’ll go back to Miami in a few weeks to see the effects of these changes in this newsroom. Other metropolitan newsrooms have moved (or are moving) and have sold (or are selling) their buildings in exchange for new space — I’ve got a list of 29 so far (please send tips!) — including some illustrious names: The Atlanta Journal Constitution, The Seattle Times, the Fort Worth Star-Telegram, The Des Moines Register (which moved from its 13-story 1918 home), The Philadelphia Inquirer, and the Boston Herald. While it was hard to watch the 13-story Des Moines Register building have nearly a century of history taken apart for its move — with a lot of it being packed away for storage or distribution to local universities and historic societies — journalists have quickly moved on. I romanced for a bit at a giant and mysterious shredder left in the now-empty printing-press space inside the Register, but I found that at most of the newspapers I visited, it was time to move on. We wanted to find a way to emphasize digital and make it the “center” of the newsroom, and after looking at all the columns that we couldn’t move it actually gave us the opportunity to create a sort of bullring that could be elevated and have lighting to make it seem a little more special. We knew we wanted everyone involved with breaking news to be together, so that’s how we grouped everyone — breaking news and cop reporters, the photo desk, and all our digital and assigning editors. The goal was to make it noisy and create energy and be the center of attention. We knew we wanted everyone to be able to work with two screens so they could constantly monitor social media and other websites while they worked, and to have plenty of TV monitors to give it that “news is breaking all the time” feel. Seattle’s newsroom had also been physically assembled into this hub-with-orbs sort of thing (different from The Telegraph and the BBC’s hub-and-spoke model; see here and here). It looks a bit more like the Star-Telegram, with a central hub with a less severe spoke-ing — and much more spread-out — but it was nonetheless built to facilitate physical communication between online production, breaking news, and social media teams. Des Moines and Miami were still in the process of being moved into when I was doing my research; I’ll go back again. An upcoming white paper I’m writing for Tow will look further into how these space changes facilitate breaking news, but for now, suffice it to say that this kind of organization creates a centralized production and distribution platform for newsrooms hungry to stay on top of the latest. Goodbye it is to old spaces and old places — created for a time when newsrooms had the ambitions and the profits to justify homes far larger than they are today. We’ve watched change from the inside; now we can see change on the outside too, whether those old homes were built a century ago or in the boom days of the 1960s and 1970s. Stay tuned for more on this trend and for more of my research on the topic. And please let me know of more newspapers you see moving buildings or putting their buildings up for sale. 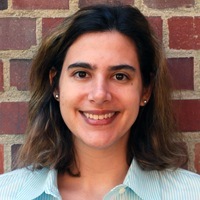 Nikki Usher is an assistant professor at George Washington University’s School of Media and Public Affairs and a fellow at the the Tow Center for Digital Journalism at the Columbia University Graduate School of Journalism. 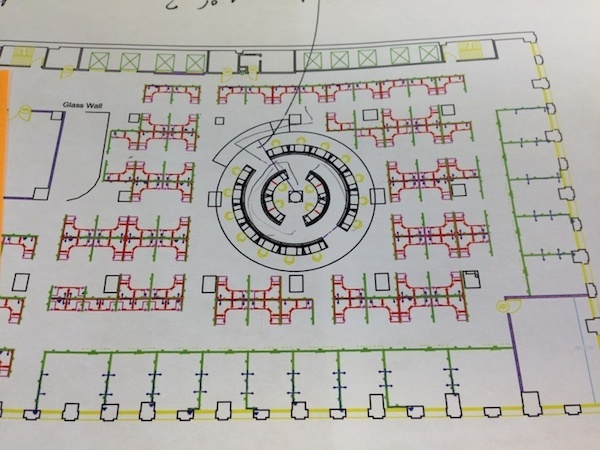 Photo of a diagram of the new Star-Telegram continuous news desk by Nikki Usher. POSTED Nov. 5, 2013, 10 a.m. Usher, Nikki. "When newsrooms move newsrooms, is it about decline or about digital?." Nieman Journalism Lab. Nieman Foundation for Journalism at Harvard, 5 Nov. 2013. Web. 23 Apr. 2019. Usher, Nikki. "When newsrooms move newsrooms, is it about decline or about digital?." Nieman Journalism Lab. Last modified November 5, 2013. Accessed April 23, 2019. https://www.niemanlab.org/2013/11/when-newsrooms-move-newsrooms-is-it-about-decline-or-about-digital/. | title = When newsrooms move newsrooms, is it about decline or about digital?